Red, white and blue. I’ve seen it everywhere this past week. If you live in the USA, you have too. There are flags waving, crepe paper adorning, patriotic symbols flashing, celebration of the 4th. 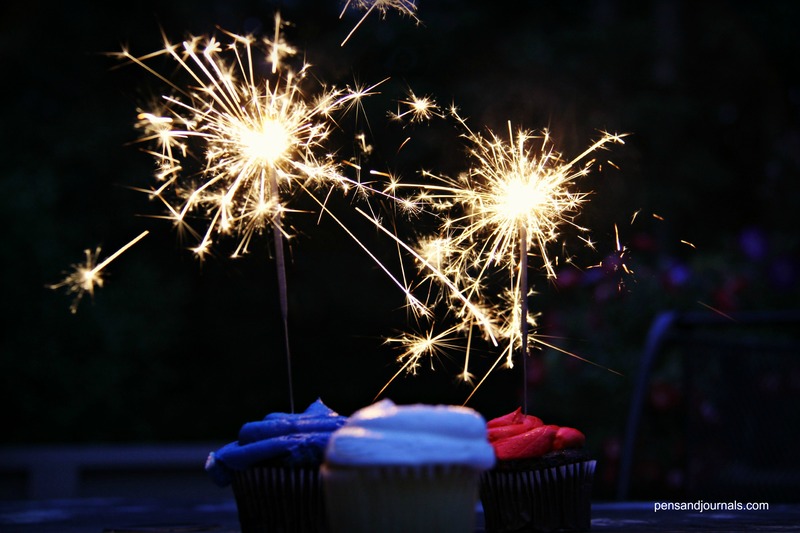 of July, our independence day, the birthday of America ring out across our land. And the celebration continues into Sunday, July 5. I celebrate my freedom to worship today, to serve the God I love, to live in a country where I can proclaim my faith without fear of persecution. I celebrate that I can worship openly, not in hiding, like so many fellow believers do in other parts of the world. Despite my freedom, at times I feel like a fish out of water or a fish in the water swimming upstream, going against the flow. When I get weary and tired, God’s strength and power gives me the Spiritual muscles to keep swimming even when the current pushes against me. And He gives me the power to live here, now, at such a time as this but to always remember who I am, where I came from and where I’m headed. He gives me the power to LOVE. And I hope I will LOVE coming from a humble position. My prayer is that I will LOVE coming from the humble place of one needing mercy–ah, grace, mercy–I am nothing without it and everything with it. I’m aware that as a Christ follower I am called to be different, live differently than our culture — to live counter culturally — but I am also called to love differently than is humanly possible in a world that is not my home. That is hard and impossible without the power of Christ in me. I don’t want to forget that this is not my home. I don’t want to forget that I live in a world where I don’t really belong. I don’t want to ever forget that I am a citizen of Heaven and that I am just passing through. If you are a follower of Jesus, you are a sojourner too. We are not citizens of our world trying to work our way to Heaven. We are citizens of Heaven allowing Him to complete His work through us. As I look around at all the red, white and blue. When I celebrate, join in on the festivities, parades, fireworks, I’m reminded that this celebration can’t compare to the one going on in Heaven when we open our hearts and lives to Jesus–the one who loved us enough to come down into this world to save us. He’s the one who throws open wide the doors to the Kingdom of Heaven and welcomes us into a new and forever citizenship — a land with similar colors to remember and celebrate. Jesus bore the red – through His blood, the blue through His bruises and we wear the white. When God looks at us clothed in Jesus, He sees us as though we have never sinned. White as snow. Pure and perfect without blemish or stain. As I celebrate my freedom here, I’m thankful for my liberty, the freedom to worship, the freedom to express myself. I celebrate all that and more. I celebrate the beauty, the glimpses of His glory that surround me daily and I’m truly thankful for all the good and perfect gifts that He’s given to me for my enjoyment. But I also remember not to get too comfortable and to remember that I will be called to live counter-culturally at times, maybe even be ridiculed for that, possibly be misunderstood, but I will remain joyful remembering that this is not my home, I’m just passing through. The best is yet to come.